Looks like January was a slow month for Home school field trips:)! Not surprising as I found myself struggling to get back into a rhythm of schooling after the holidays. Our big week long trip to London was cancelled although we did make it in for the day to see a show to celebrate my daughter's 10th birthday. We had a fabulous time! 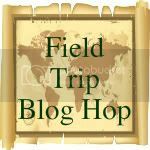 Are you and your children going any where exciting this month for a school field trip if so please share it here so others can read all about it. 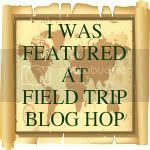 I know I have gotten lots of great ideas and tips for future field trips and I hope you will too:)! I hope to get back in the swing of things and join up this month! January was definitely down time for us. This is such a fun hop. Thanks for hosting it. Love this idea! We'll be joining in - thanks for hosting! Missed this month! Darn! Do you do one a month or more? New hop begin on the 1st of every month and end the last day of the month. HOpe you join in next month which begins tomorrow.